Picturesque 1 bedroom cottage set in the premium wine region of the Adelaide Hills. Located within an easy 5 minute drive of the historic town of Hahndorf and the famous Adelaide Hills wineries like Shaw & Smith, Nepenthe etc. The idyllic weekender for that relaxing break from busy city life. Cosy bedroom with Queen size bed and small lounge area, separate kitchen and bathroom. Continental breakfast provided. All linen, tea, kettle, toaster and Nespresso coffee maker facilities provided. So comfortable you won’t want to leave! We had the loveliest time at the Winemakers Hut. The space was larger than I anticipated from the photos, more than comfortable for two people and very tastefully decorated. The appointments were spot on with every care taken to make you feel at home. The hosts Mary-Anne and Chris were delightful and we could tell very happy to have us stay on the property. The location is perfect, very close to some top wineries and close enough to enjoy all that the Adelaide Hills has to offer. Thoroughly enjoyed our time! We loved our two night stay in the Winemakers Hut. So clean, cosy & comfortable. The property is beautiful and peaceful. It has a swimming pool & tennis court. Well located just 2km from Hahndorf and good wineries literally around the corner Shaw & Smith, Nepenthe & The Lane. Mary-Anne & Chris are great hosts. Excellent communication & superb attention to detail. The continental breakfast was perfect with our hosts asking our bread & milk preferences. The local area is fabulous with plenty to see and do. Our dinner at Hanh & Hamlin a highlight. 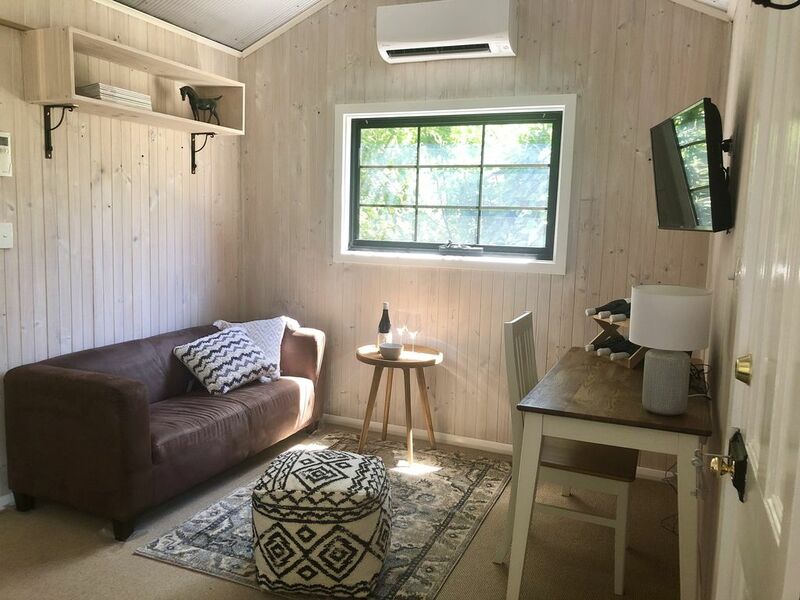 We cannot speak highly enough of the Hut for Adelaide Hills accommodation. In future this will be our first choice. A big thank you to Mary-Anne and Chris, we wish you every success. So many great things to say about the Winemaker's Hut, the Host's and the surrounding area. We booked for location and got so much more. The hut it's self is full of interesting details and furnishing items. Using every space to it's maximum effect. Fully set up for 2 people to have a wonderful relaxed stay. I loved the South Aust. items for use in the Hut. There were 3 kangaroos in the next block that greeted us the next morning.